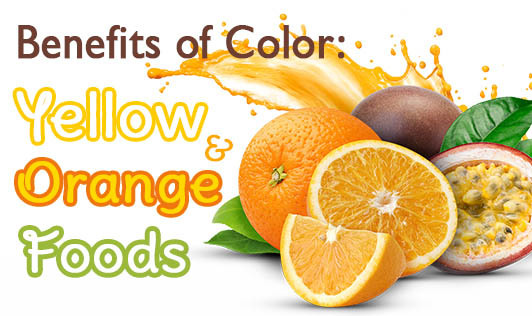 Fruits and vegetables which are yellow or orange in color are packed with carotenoids, vitamin C, and many other nutrients. Going with the studies, it was found that these nutrients help in protecting your nervous system, maintaining good eye health, and preventing heart disease. Along with this, these fruits also contain Vitamin A which is great for your skin and the immune system. Together with magnesium and calcium these help you build strong bones. Whether the winter or summer variety, the squash is well known around the world for being rich in Vitamin A; which is very good for your eyesight, though the summer variety contains more of it than its winter counterpart. Turning this into a soup would be quite delectable. The carrot is renowned for containing Beta Carotene, another variation of Vitamin A known to fight and limit the growth of cancer cells in our bodies. This tasty food is quite delicious when served raw with a tasty dip, boiled, juiced, or even grated in a veggie salad. Check out DesiDieter's recipe for Carrot Kheer- a delight for all the health conscious foodies. These fruits are famous among the people of the Orient, especially China. Preserved or floating in thick sweet syrup, peaches are rich in Vitamin A. They are perfect for cell reproduction, growth, and development of bones and teeth. Having peaches regularly helps in maintaining glowing skin and healthy hair. For a healthy dose of Vitamin C, oranges are perfect, especially for growing kids. Vitamin C plays an important role as anti-oxidants, which helps our body tissuesn recover from damage caused by oxidation. Vitamin C also helps our body's metabolism and reduces the development of harmful diseases, like cancer. Pineapple is one of the best sources for Vitamin C and manganese. Manganese helps in breaking down the fats, carbs, and proteins. It also acts as a good resource of vitamins B1 and B6, along with some other valuable minerals. Pineapples are great for people on a weight loss program. It also helps in building a sound immune system. This golden fruit is a great source of potassium that our body needs to balance water, cells, and other body fluids. Potassium also helps in maintaining proper heart functions. People who lack potassium in their body may experience muscular cramps, twitching, muscular weakness, insomnia, and irregular heartbeat. Kidney and lung failure is quite common for potassium deficient individuals. If you are suffering from any of the above mentioned problems, you better start adding bananas before or after your meals.